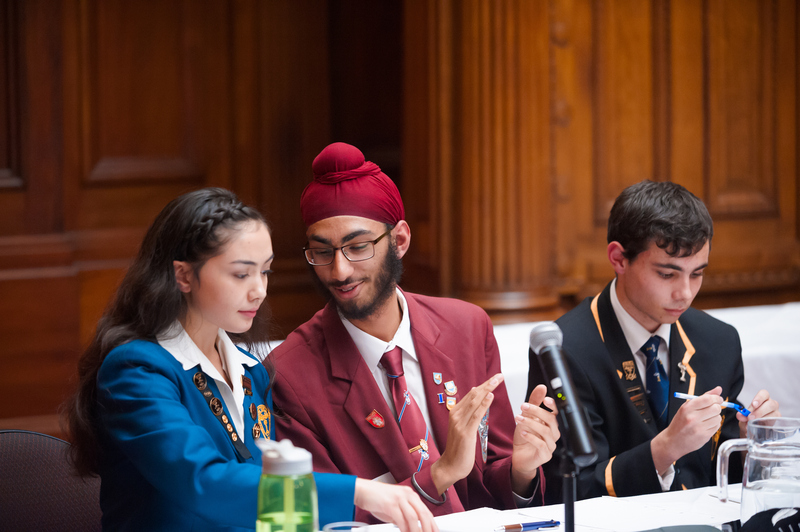 The 2017 National Finals of the Russell McVeagh New Zealand Schools’ Debating Championships were held from the 26th – 29th of May at Victoria University of Wellington. Twelve regional teams from Northland, Auckland, Waikato, Hawke’s Bay, Central North Island, Wellington, Kahurangi/Marlborough, Canterbury and Otago/Southland took part in the competition. The regional teams comprised the best speakers from the hundreds of debaters who competed at various regional competitions held earlier in the year. 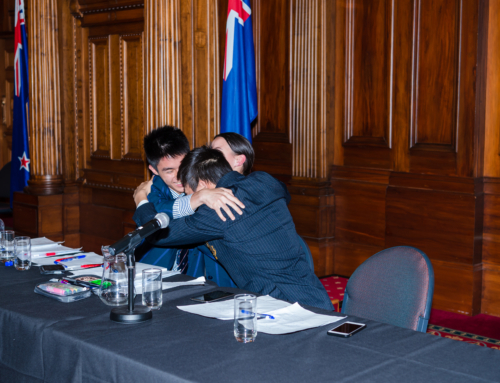 After the seven preliminary rounds, the top four teams were Auckland White, who were broke first on six wins, Wellington Black (five wins), Auckland Blue (five wins) and Wellington Gold (four wins). Hawkes Bay and Otago-Southland were also on four wins but had slightly fewer speaker points than Wellington Gold. On Monday morning the semi-finals were held at Wellington Girls College and Wellington High School. The motion for the semi-finals was: “This house supports the US government employees ‘resisting’ Trump.” The top two teams qualified for the Grand Final, with Auckland White (affirming) defeating Wellington Gold in a unanimous decision and Wellington Black defeating Auckland Blue in a 3-2 split decision. Wellington Black affirmed the motion and Auckland White negated. After an excellent and very close debate, Wellington Black were declared the winners in a 5-2 decision. After the Grand Final the members of the 2017 Russell McVeagh New Zealand Schools Debating team were announced. The five member team is made up of Samuel Penno (Hutt International Boys’ School), Piper Whitehead (Diocesan School for Girls), Geneva Roy (King’s College), Keir Robinson (Selwyn College) and Brooke Kinajil-Moran (Wellington Girls’ College). 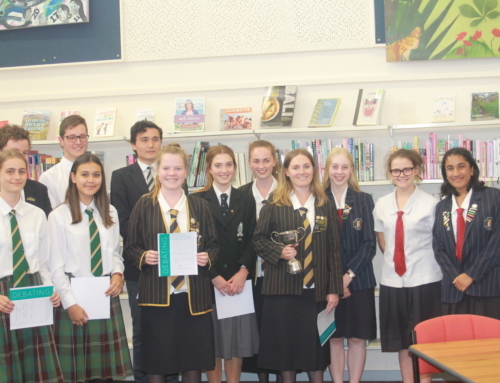 The best speaker of the Championships was Sam Penno, with Geneva Roy being named captain of the Russell McVeagh New Zealand Schools’ Debating Team. 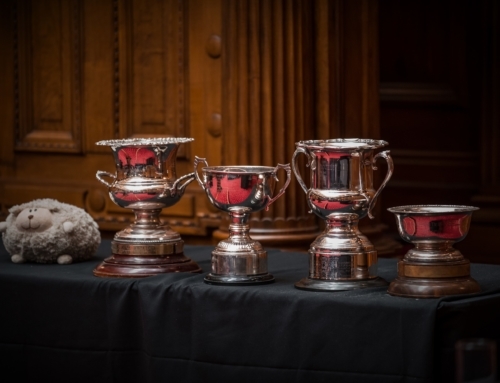 The New Zealand Schools’ Debating Council is very grateful to Russell McVeagh for its continued support of New Zealand Schools’ Debating, which allows these Championships to occur. We are also grateful to Victoria University of Wellington who hosted the Championships during the weekend. Thanks too to everyone who contributed to making the Championships such a memorable weekend – adjudicators, coaches, chairpeople, and conveners Georgina Lomax-Sawyers and Amy Spittal.